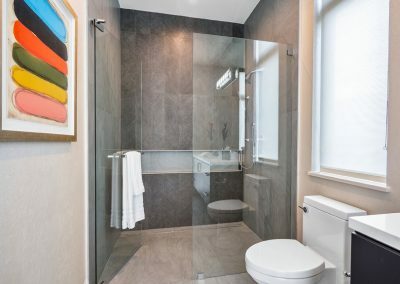 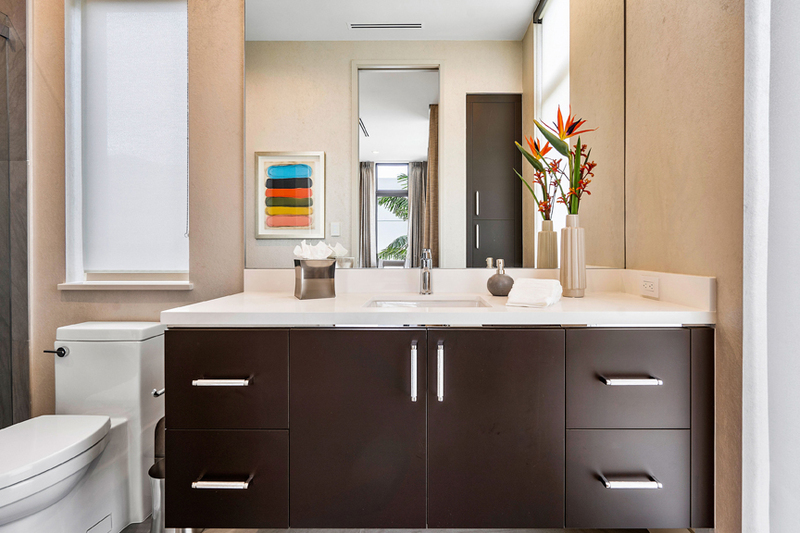 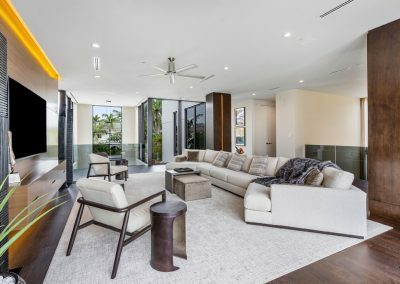 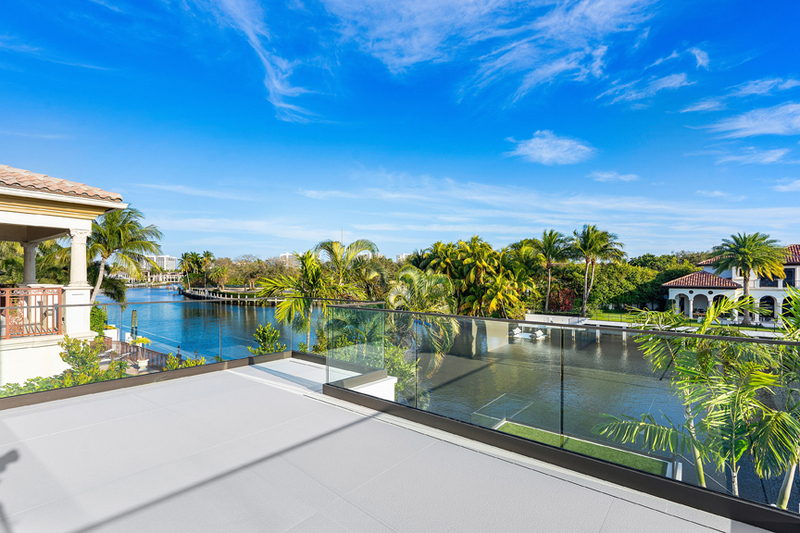 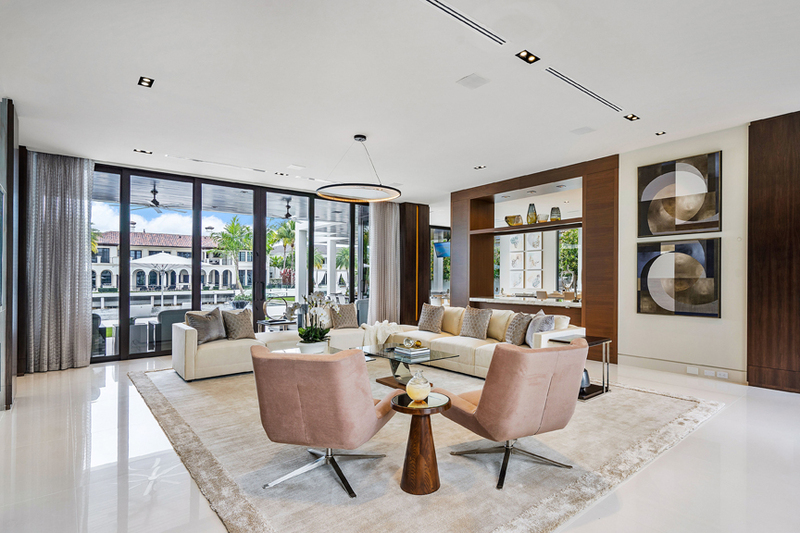 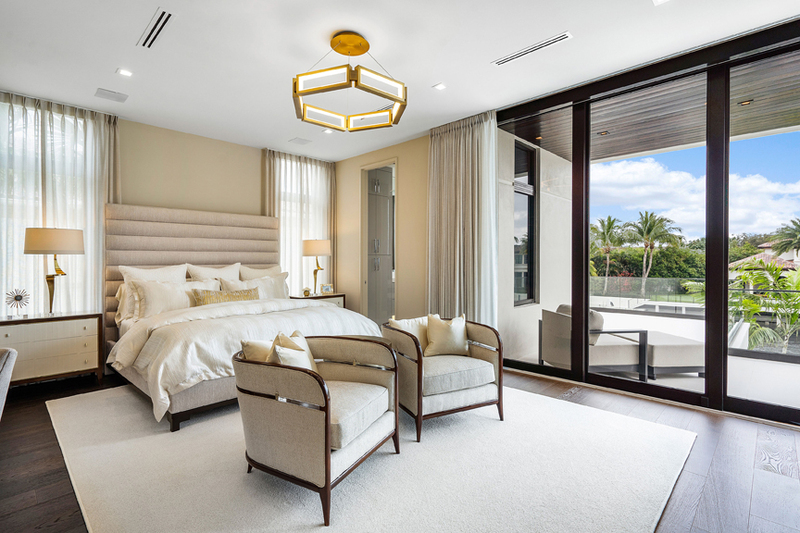 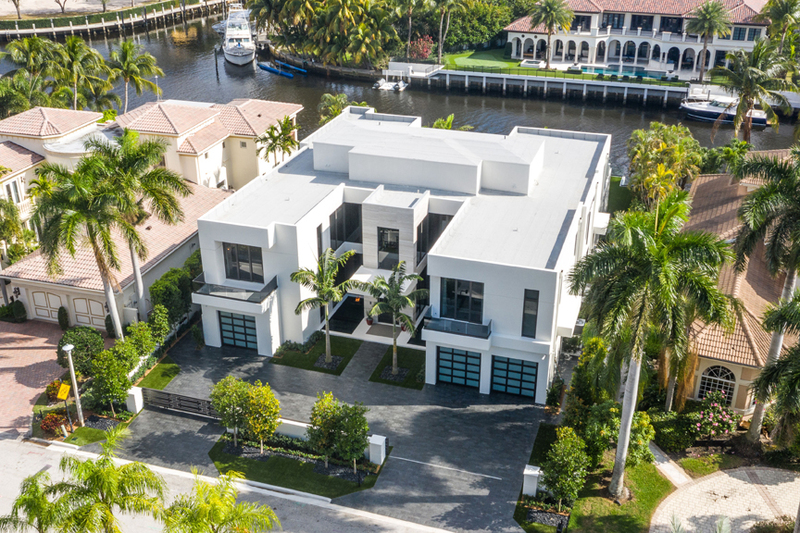 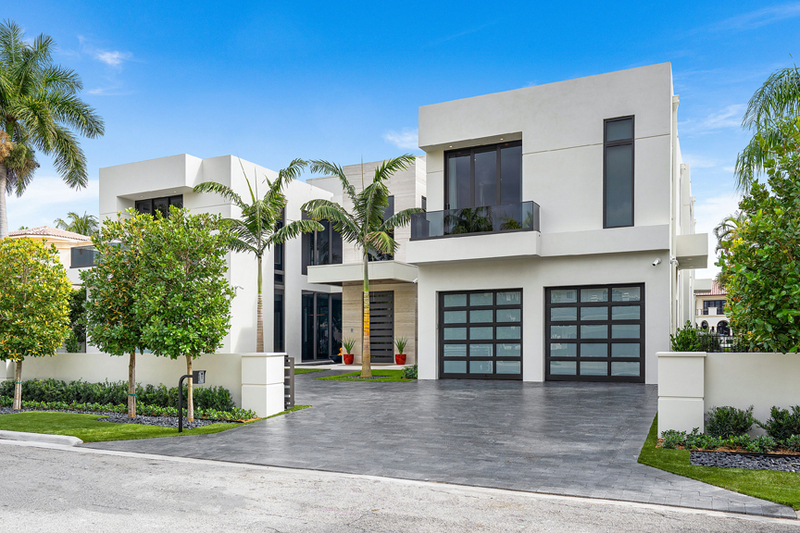 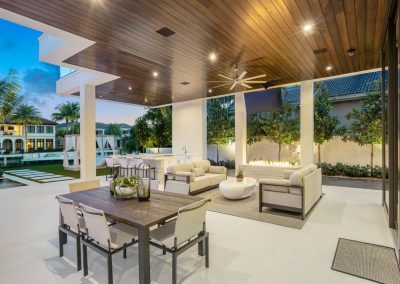 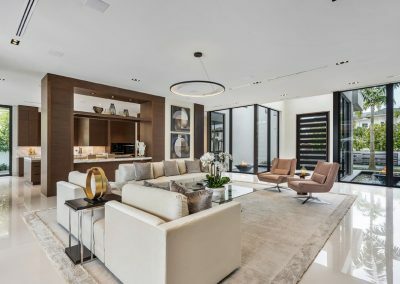 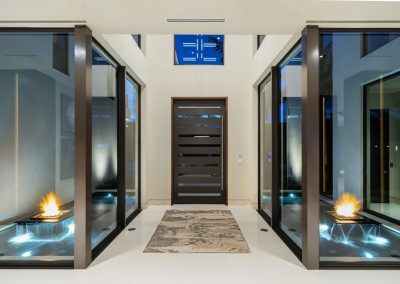 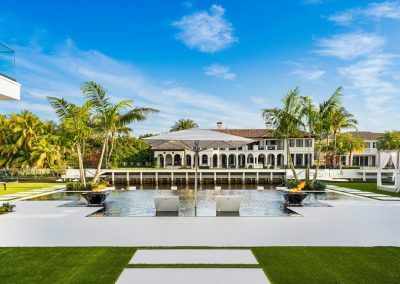 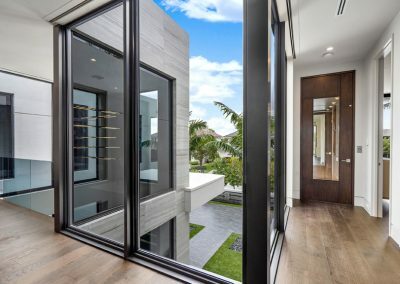 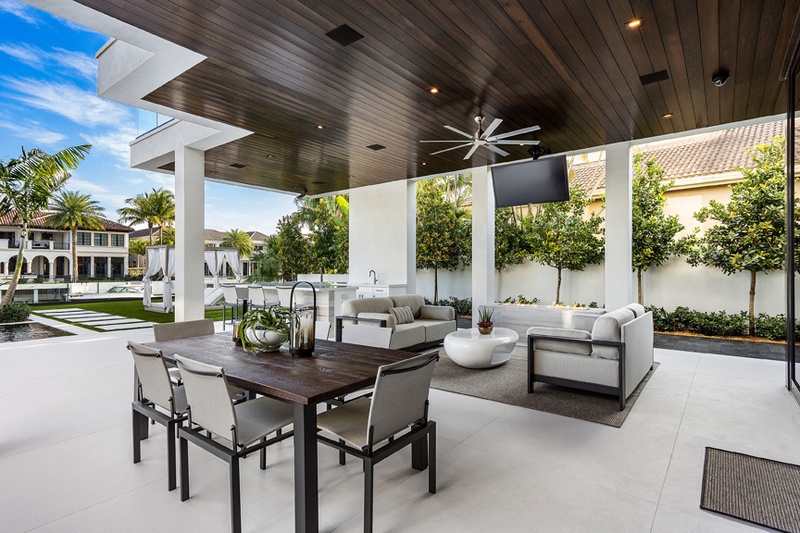 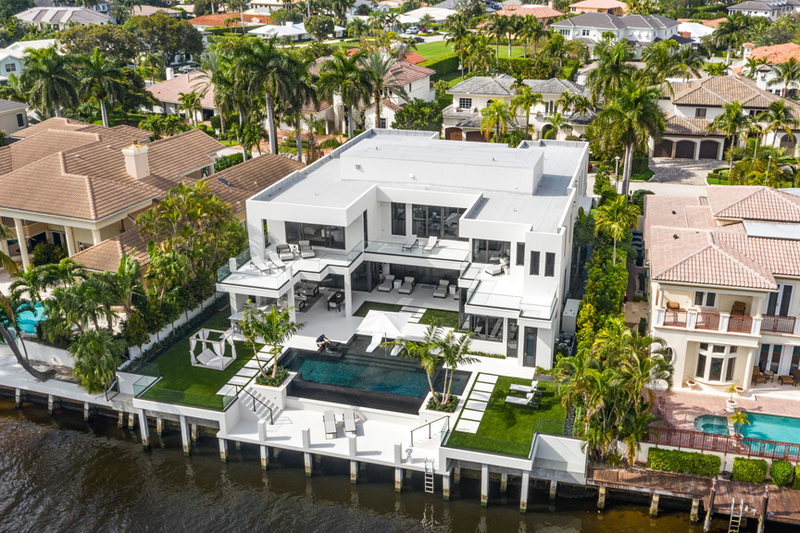 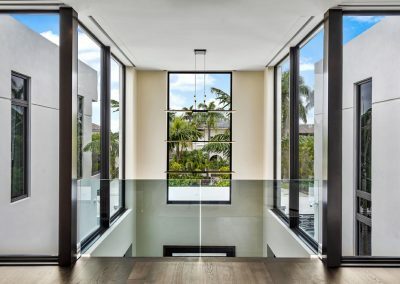 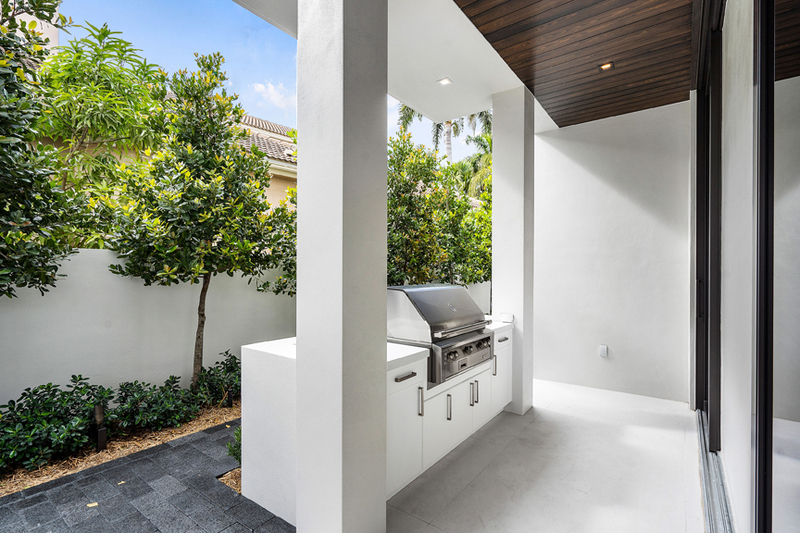 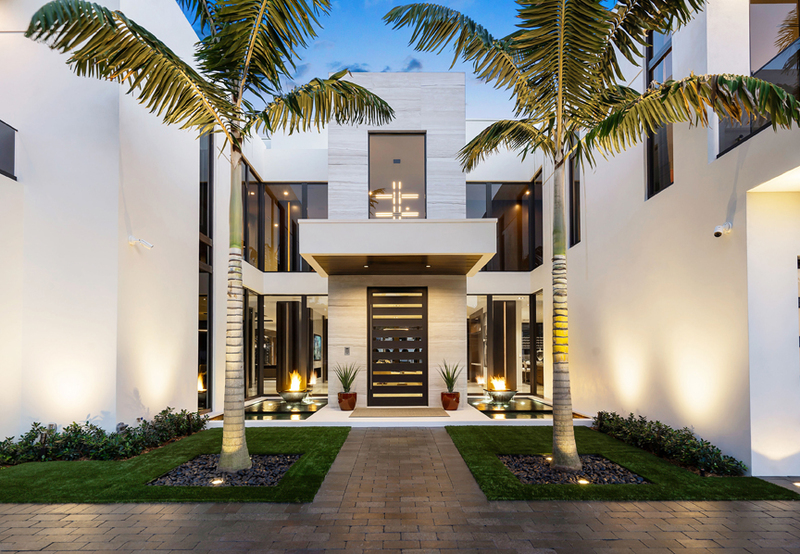 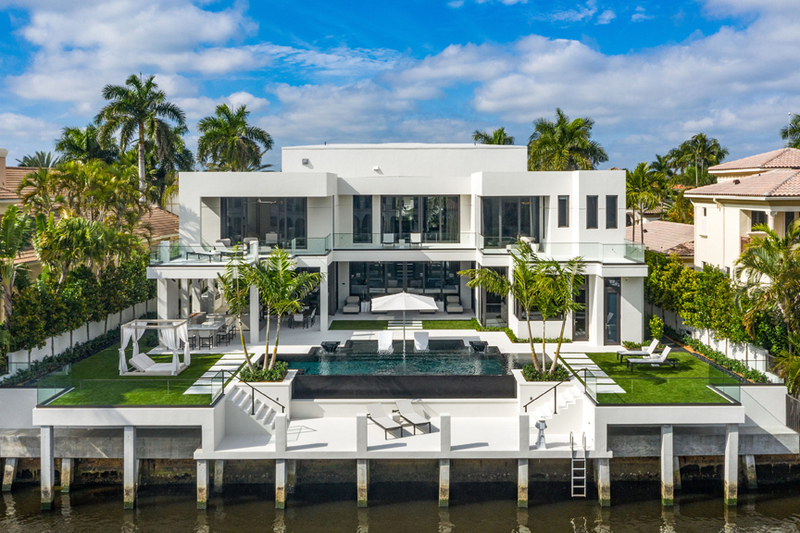 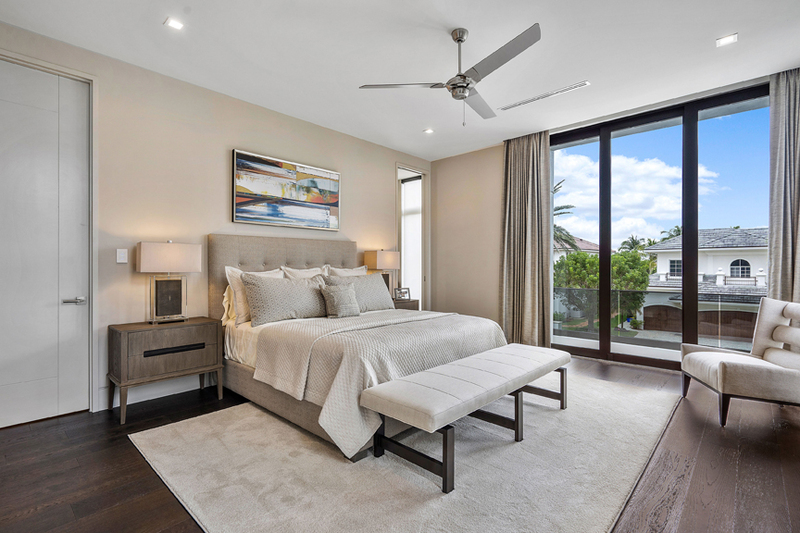 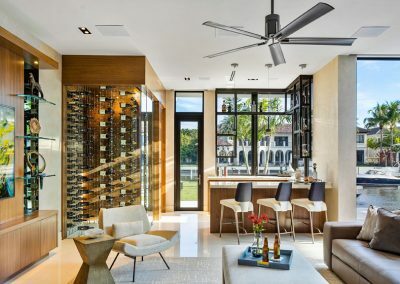 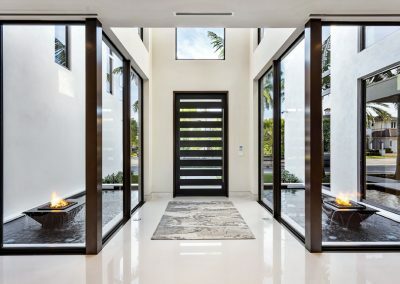 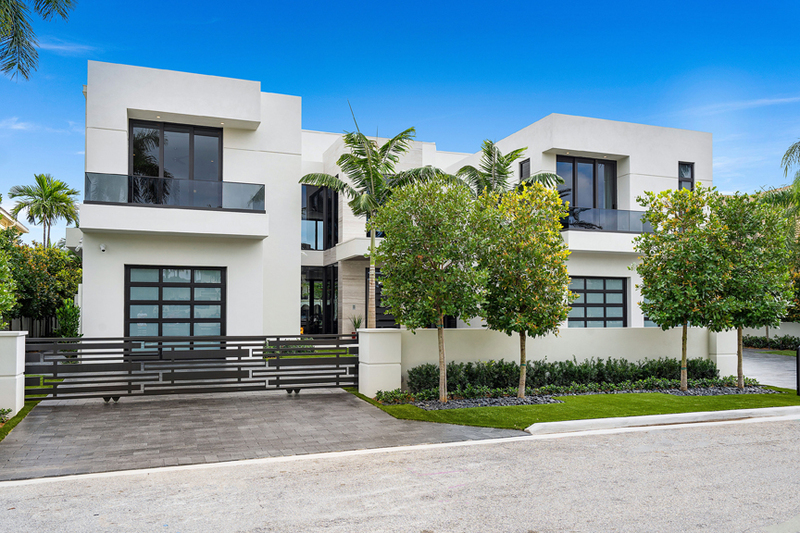 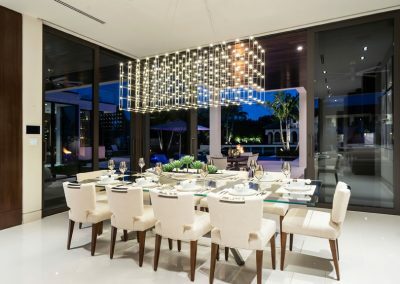 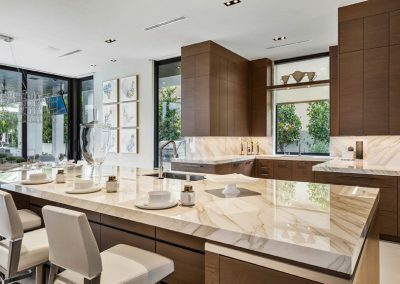 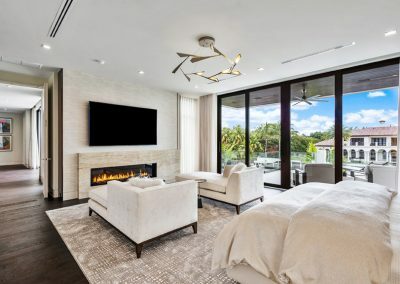 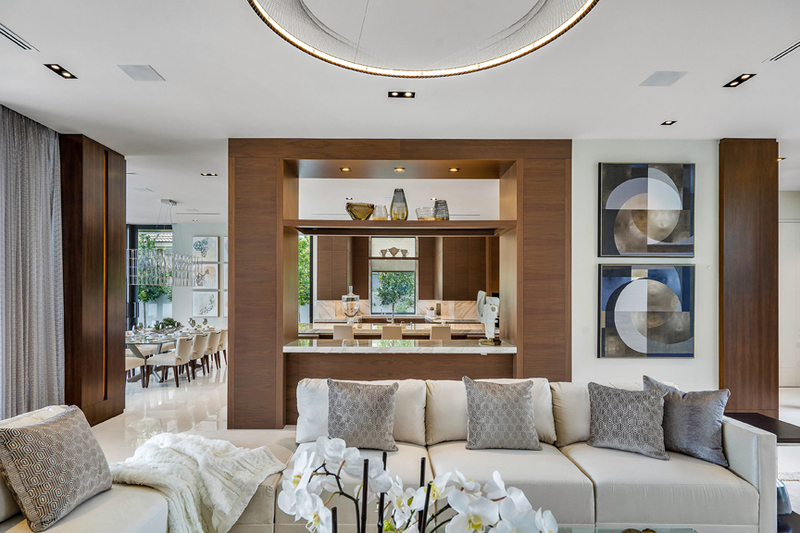 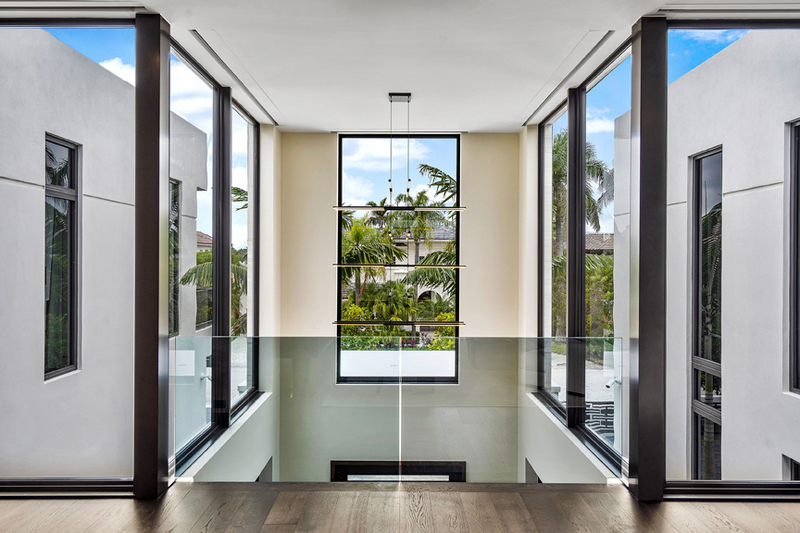 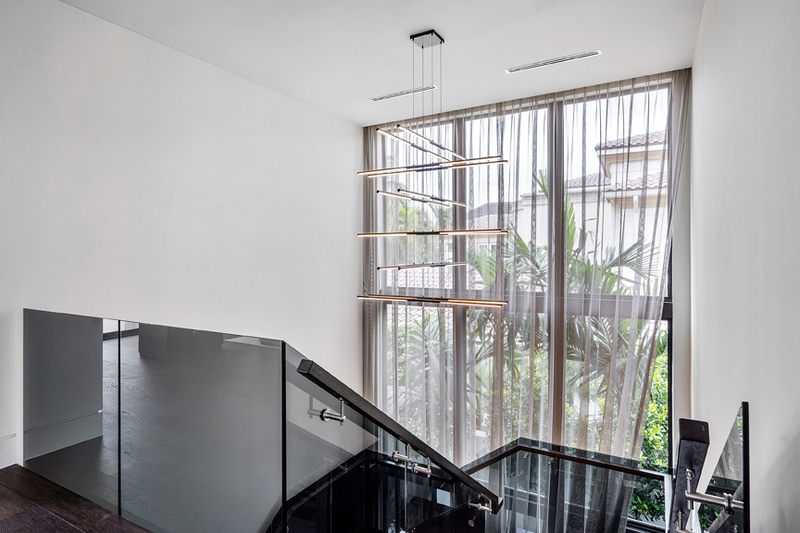 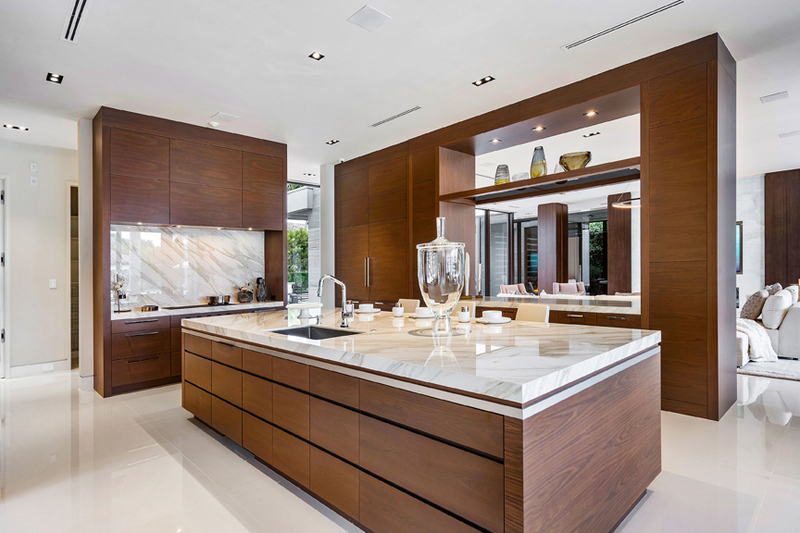 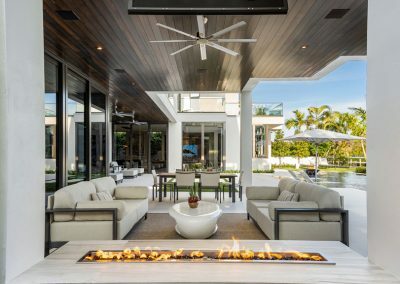 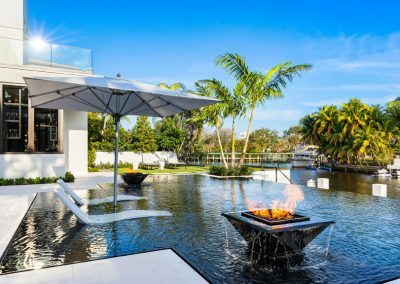 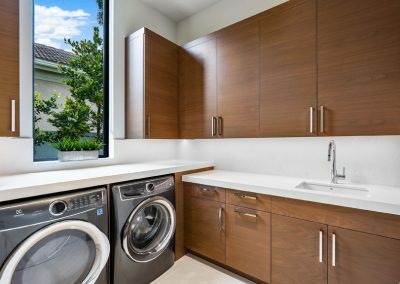 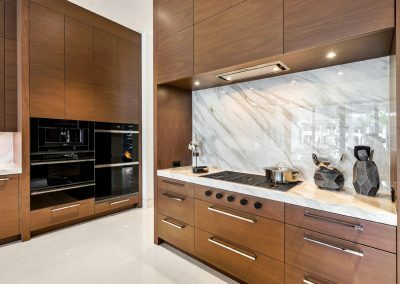 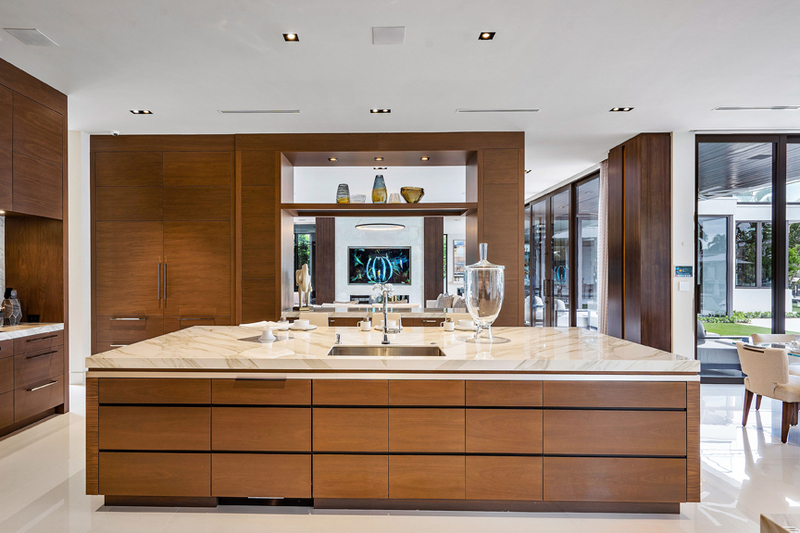 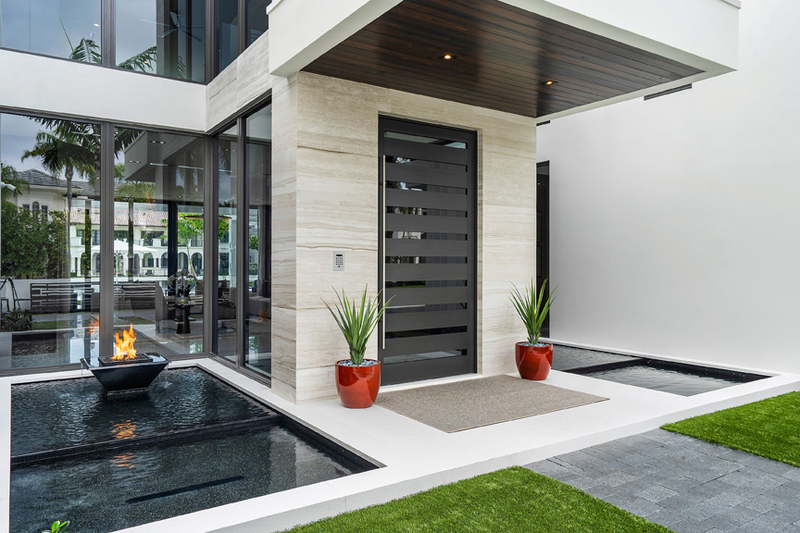 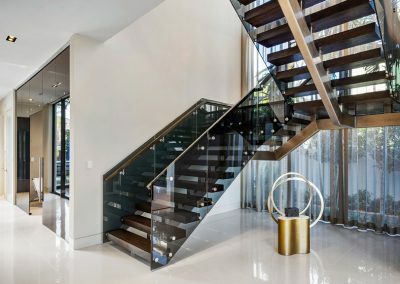 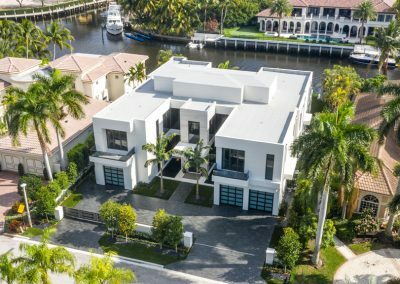 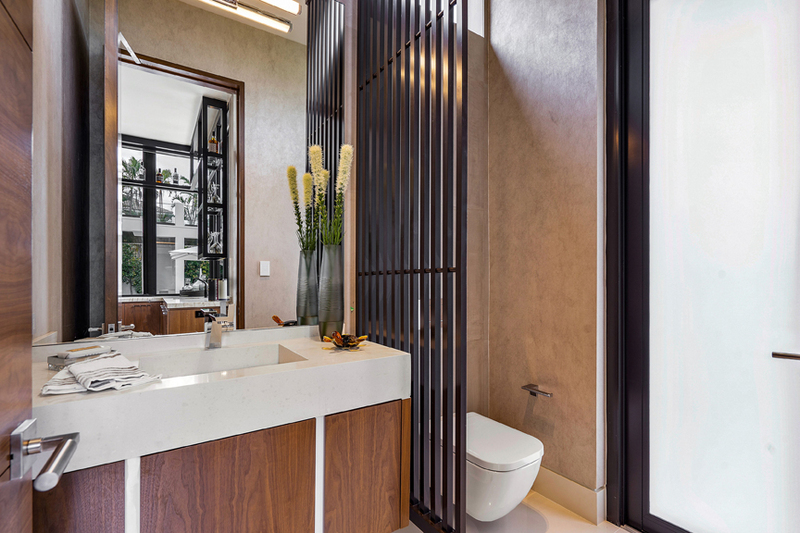 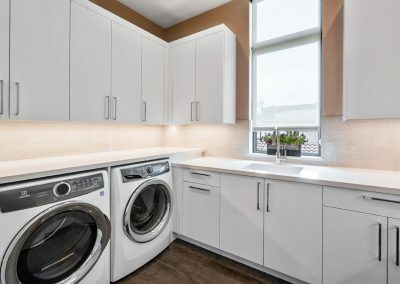 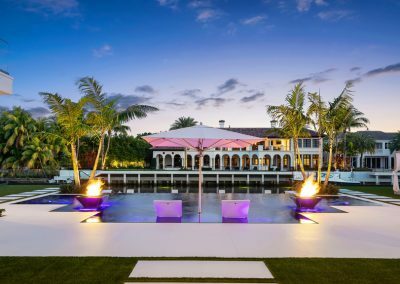 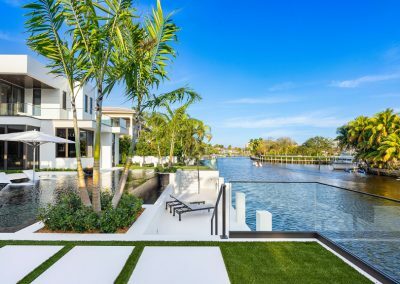 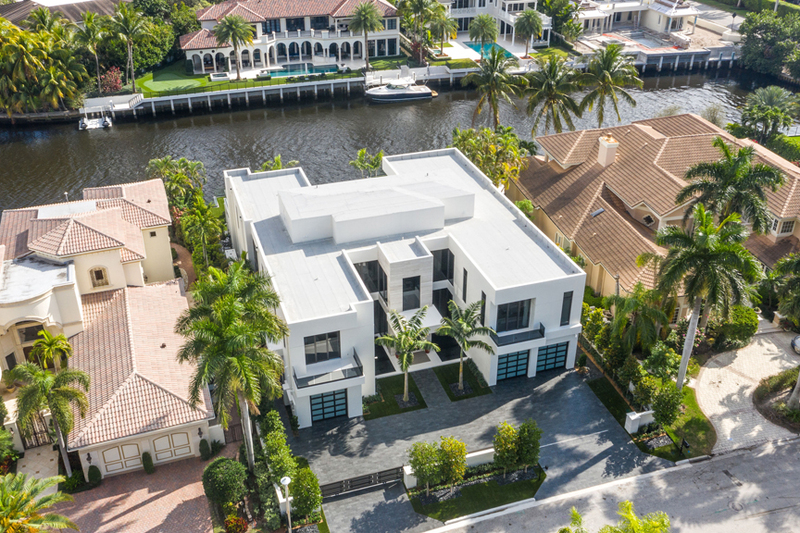 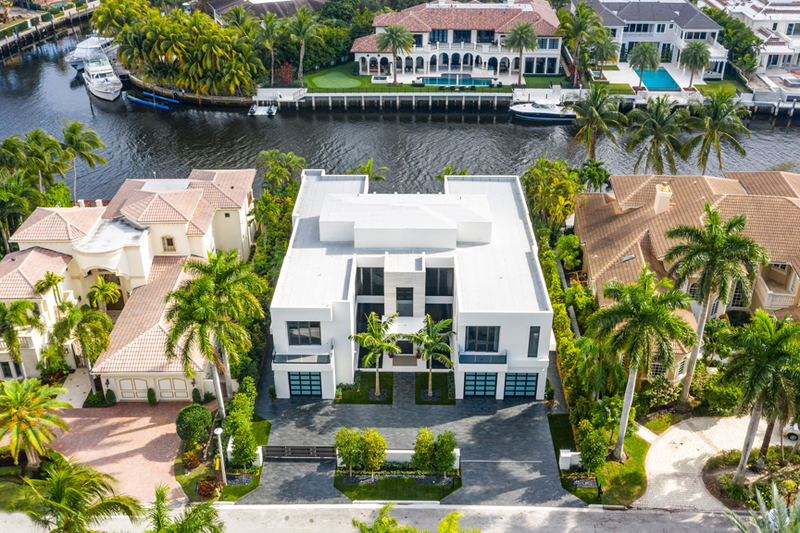 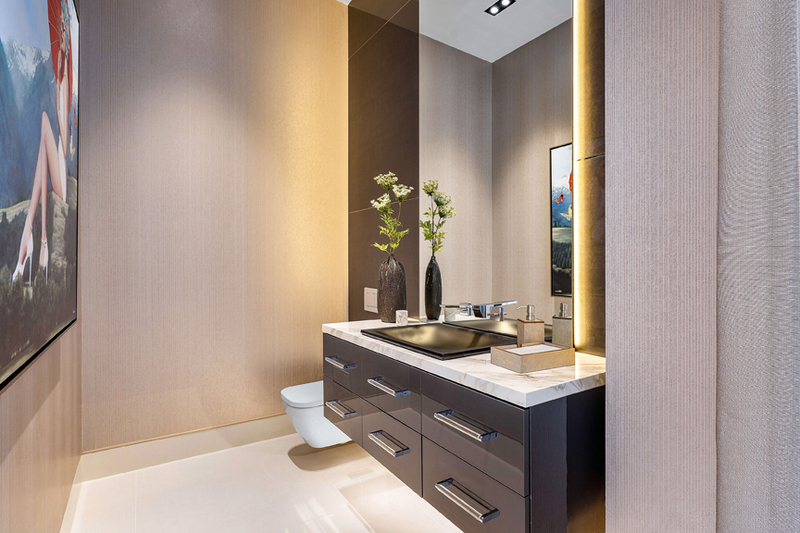 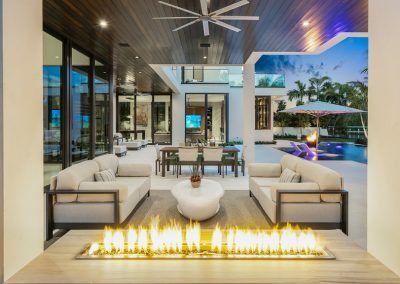 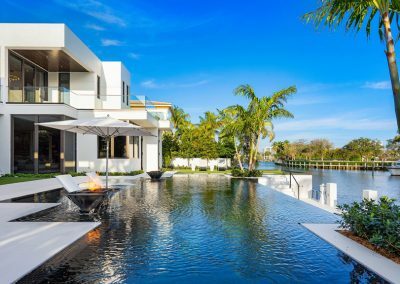 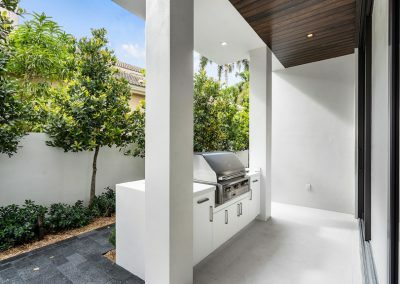 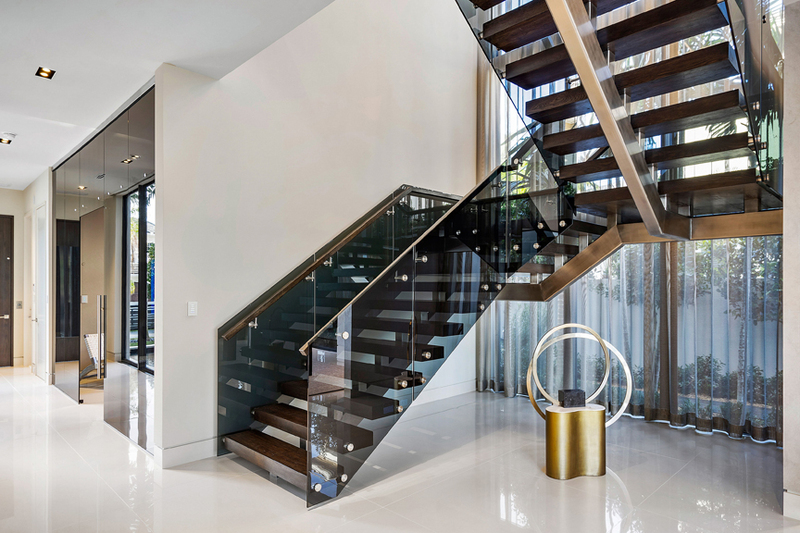 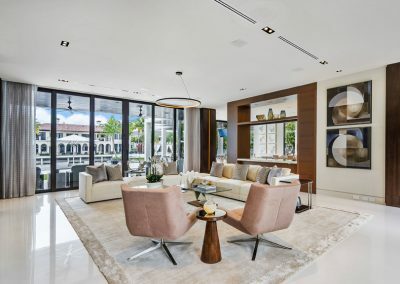 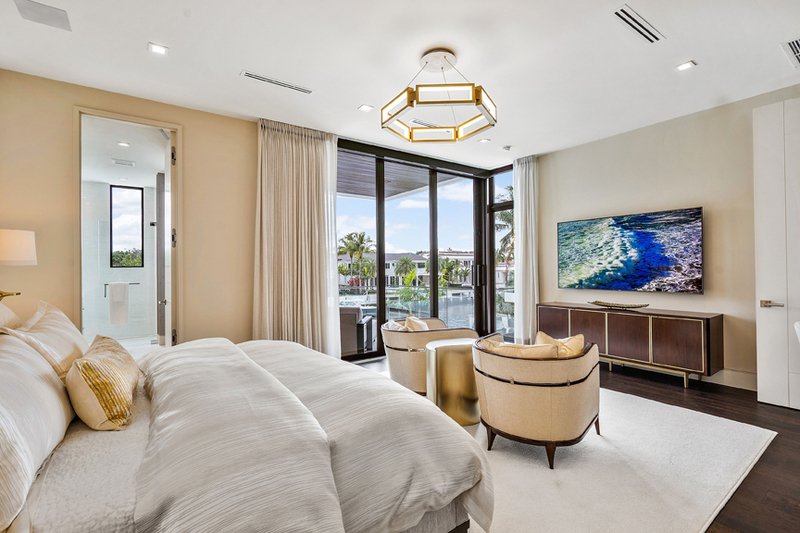 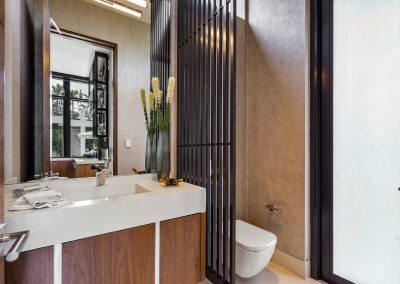 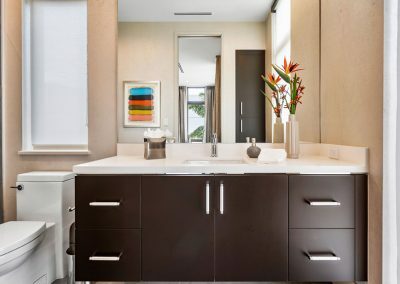 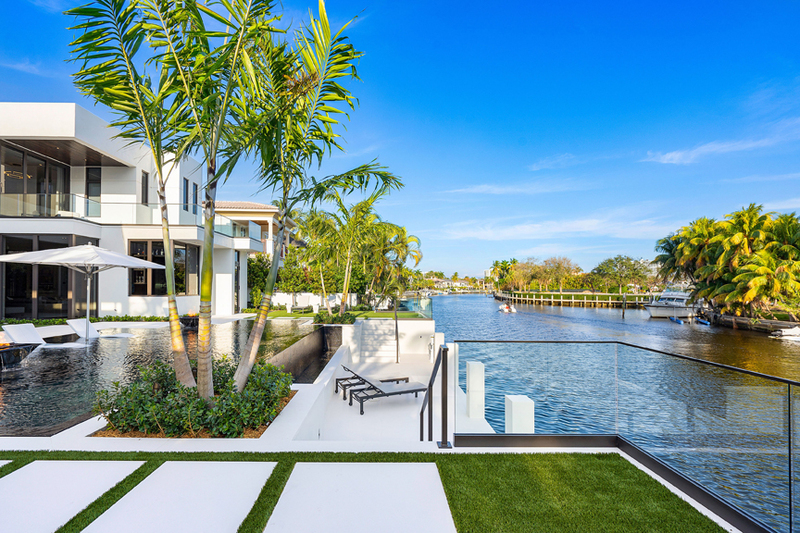 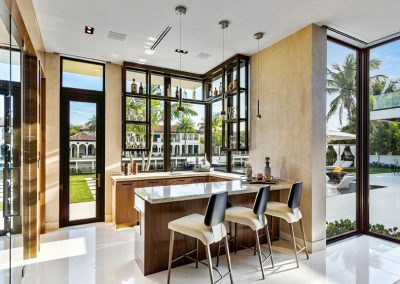 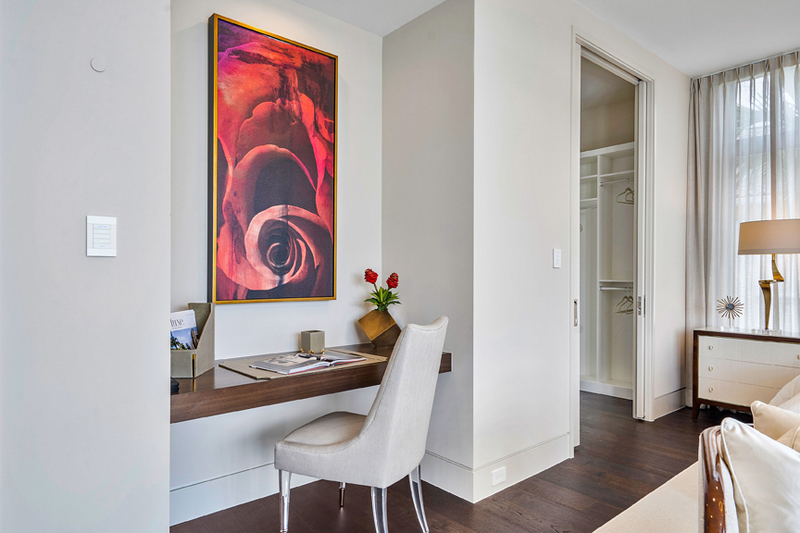 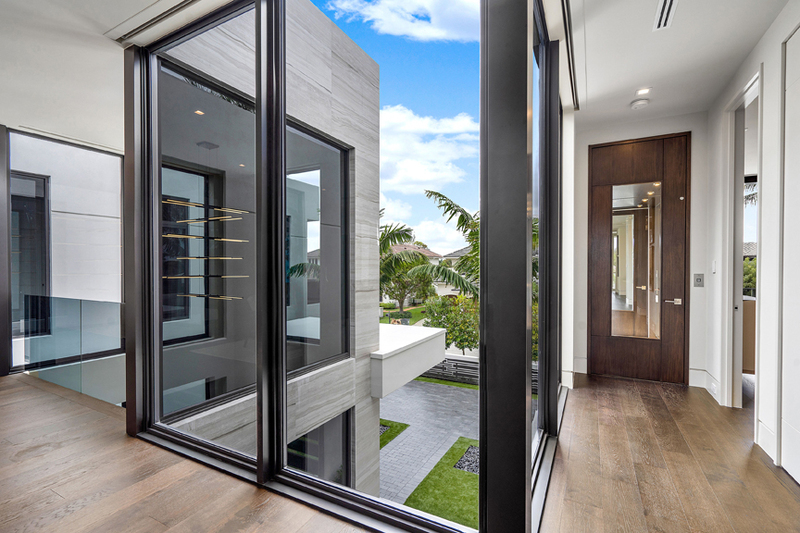 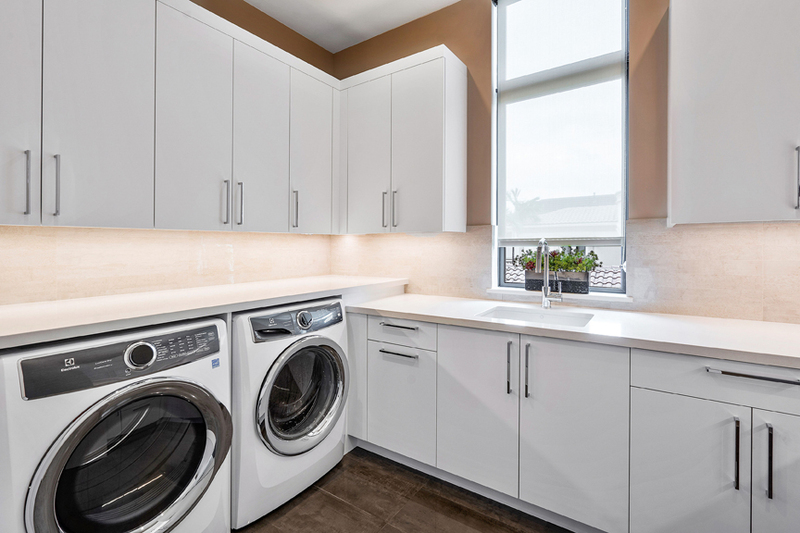 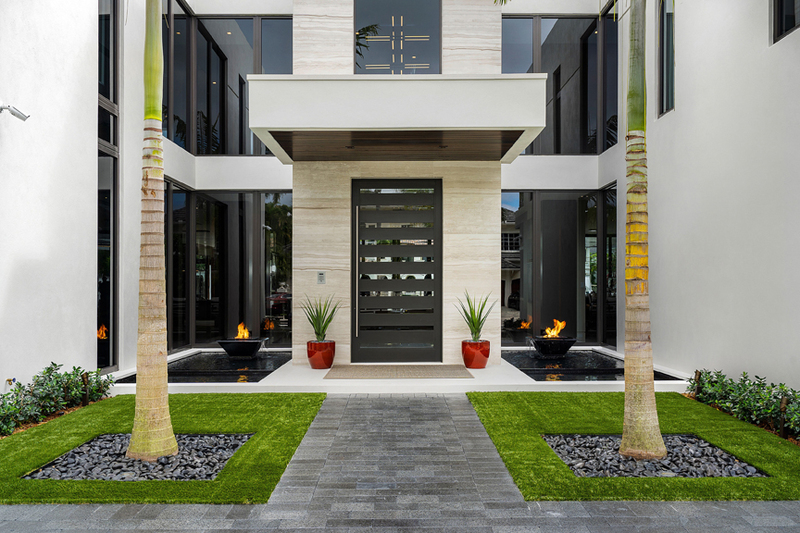 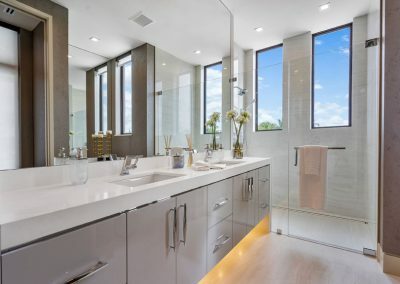 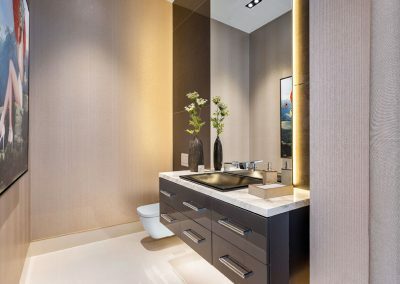 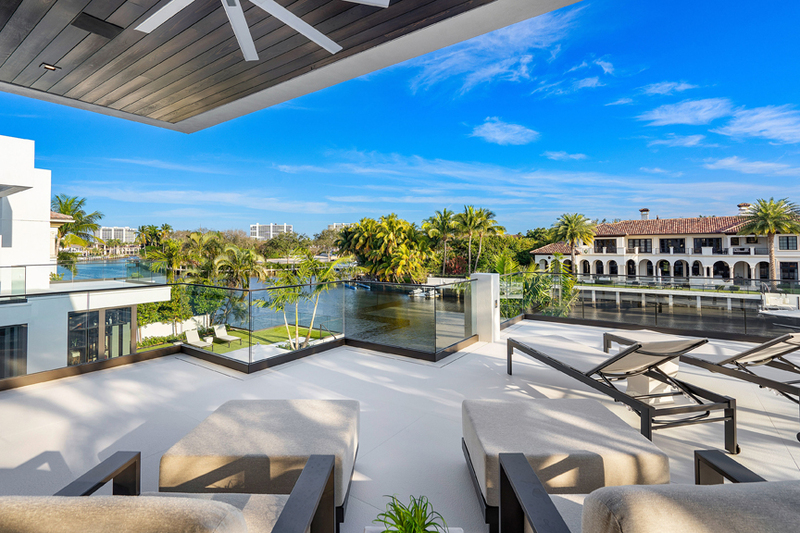 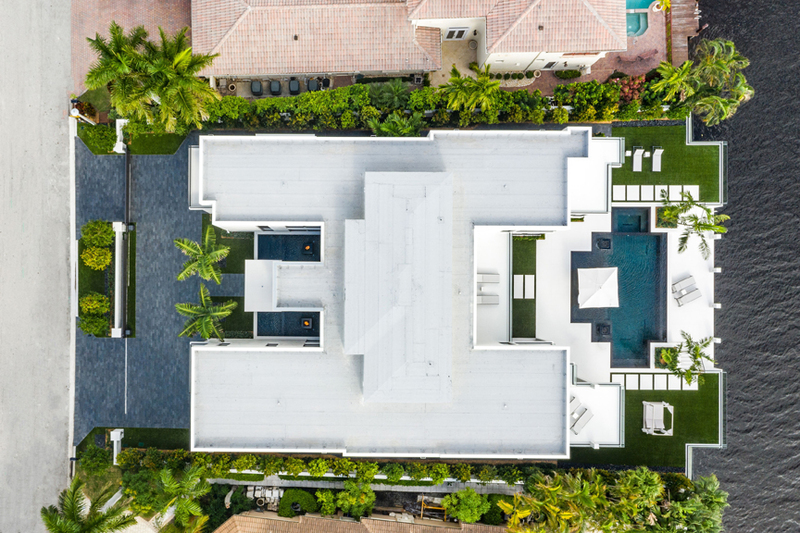 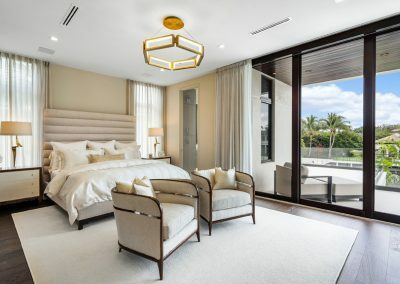 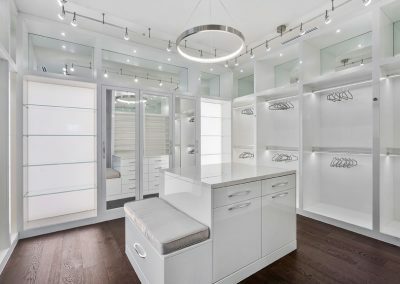 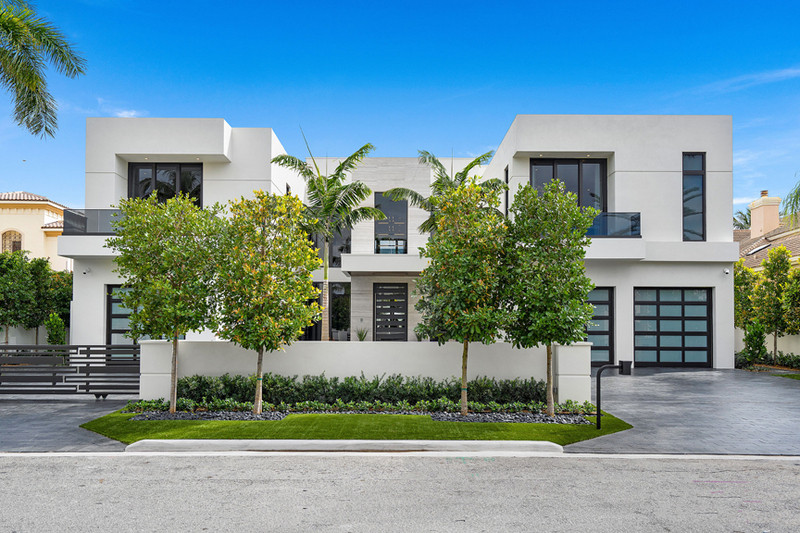 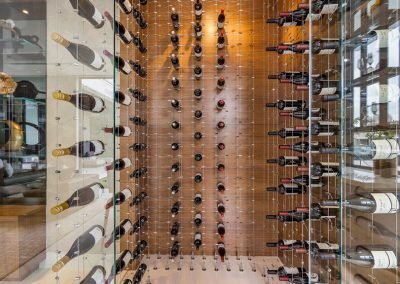 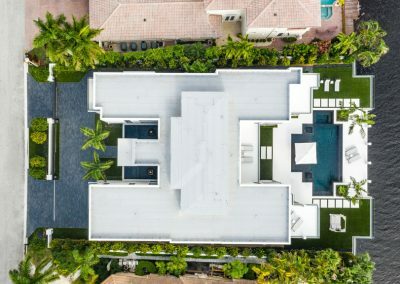 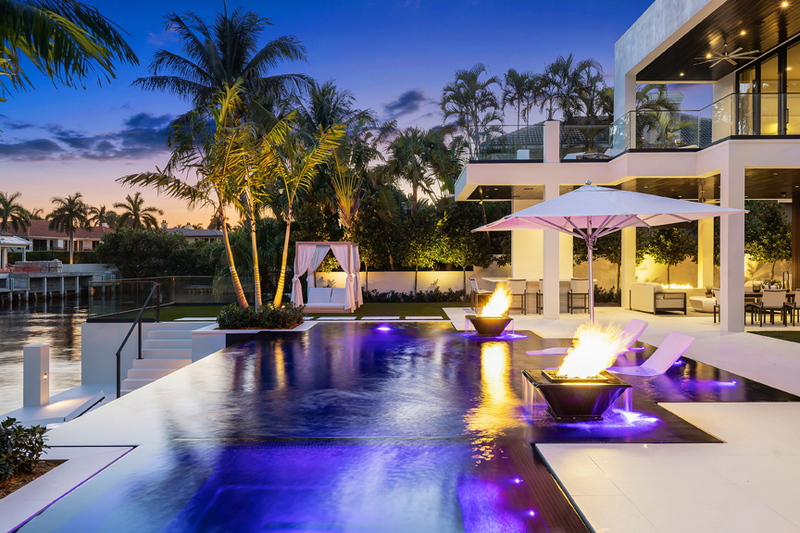 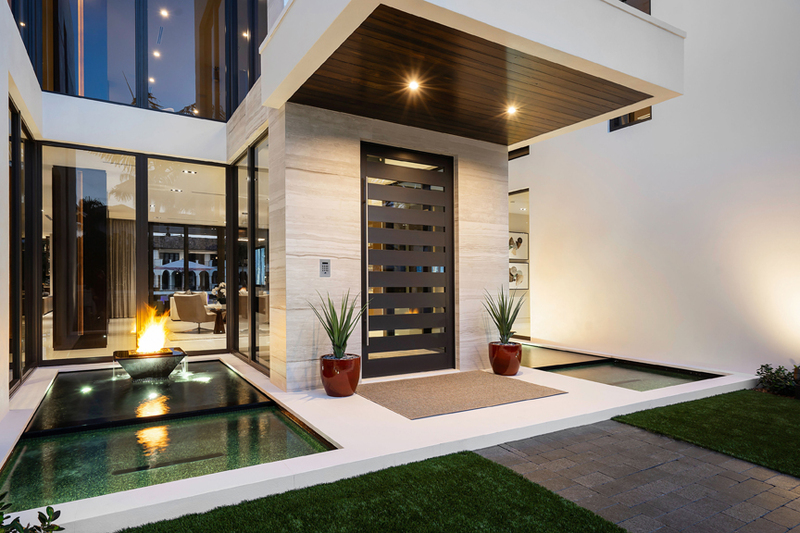 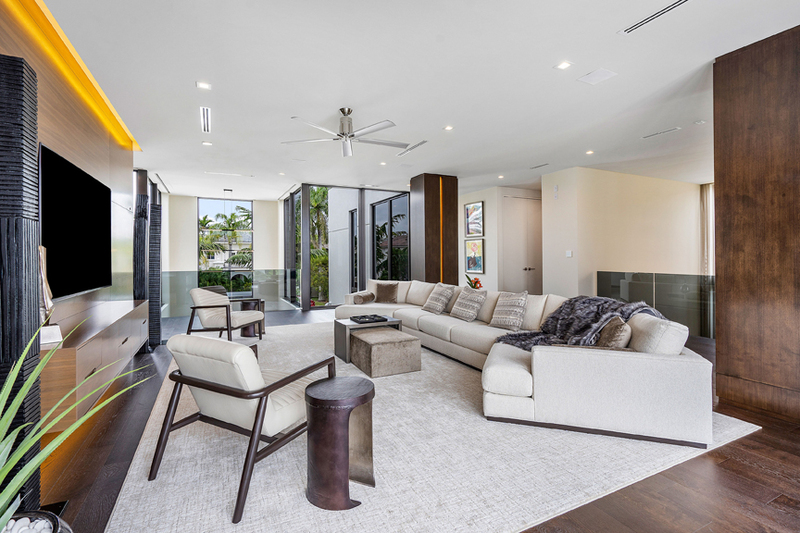 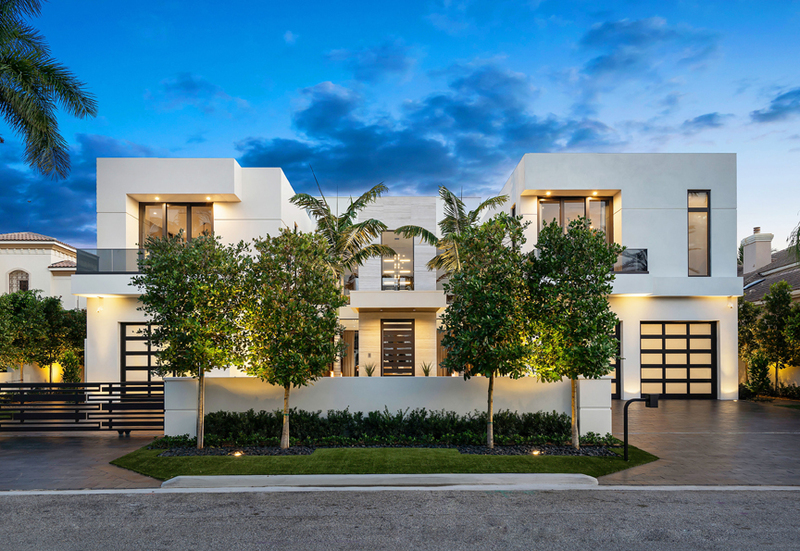 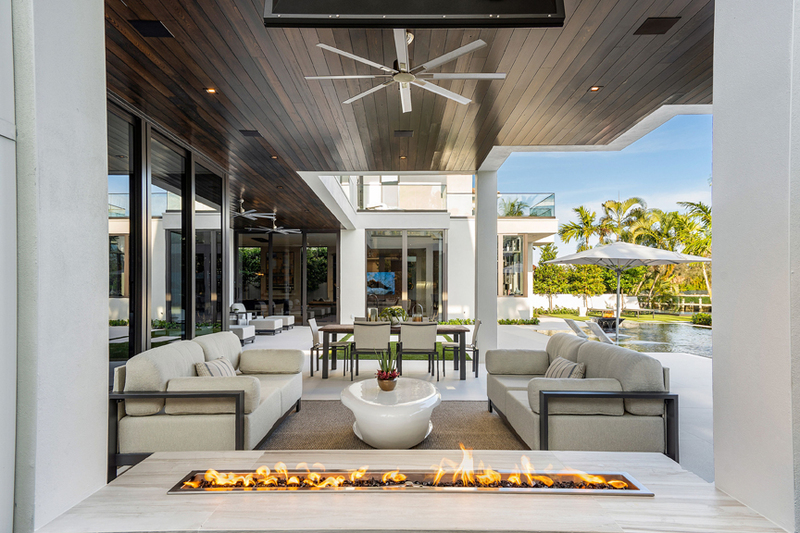 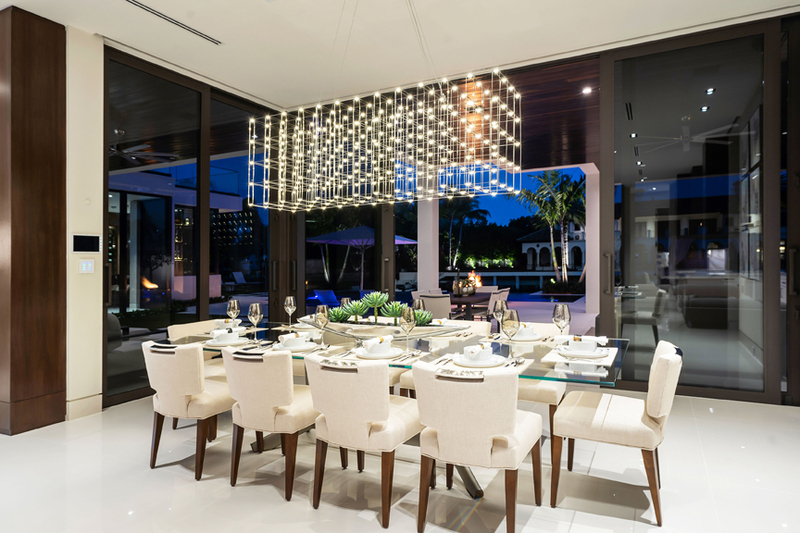 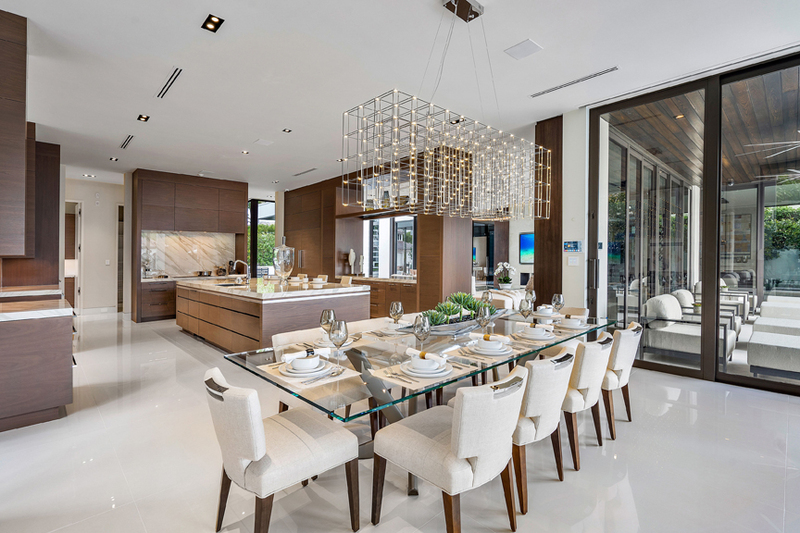 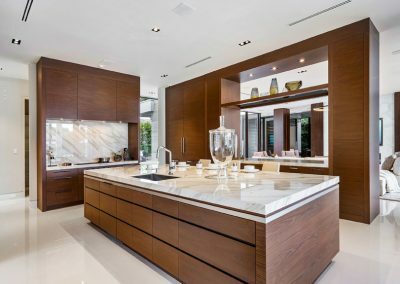 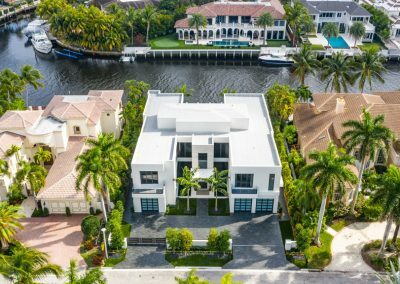 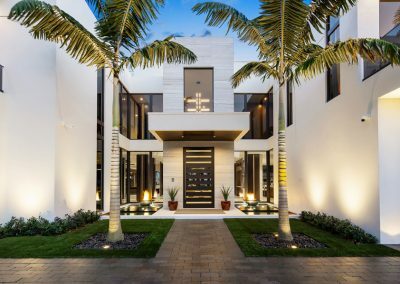 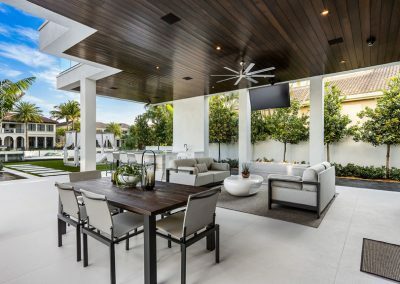 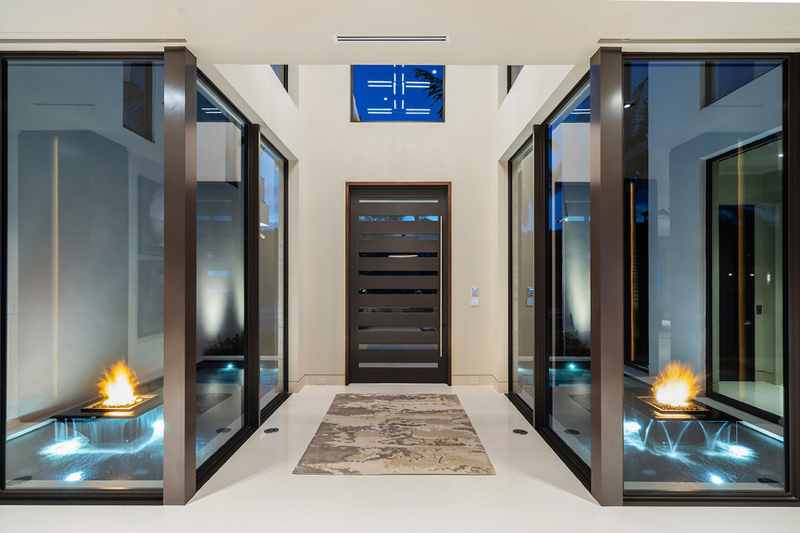 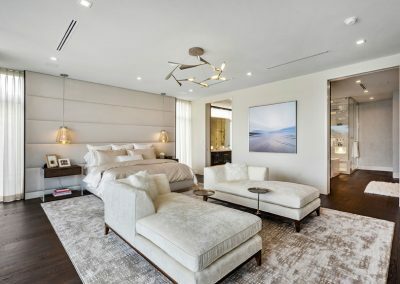 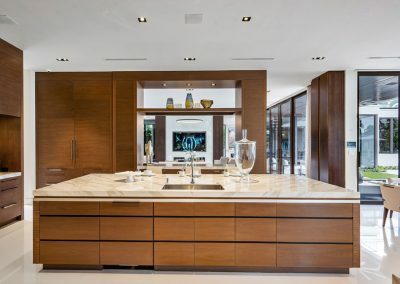 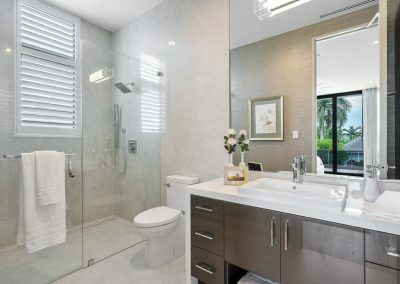 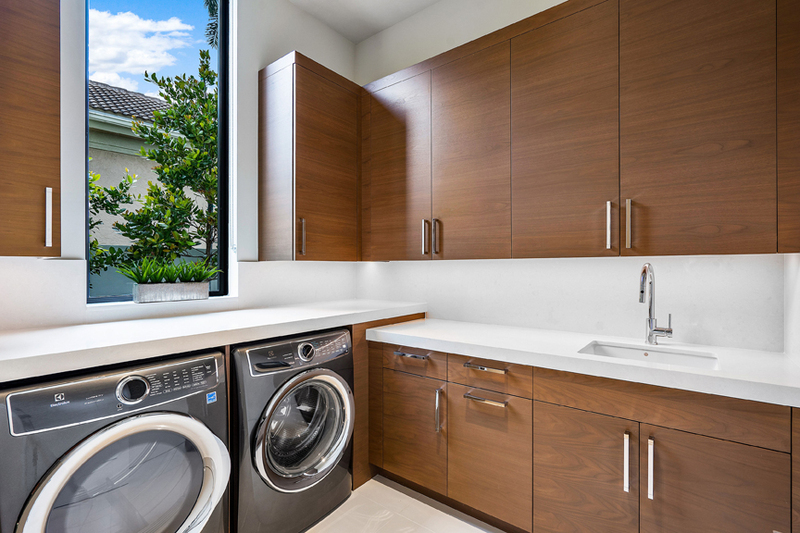 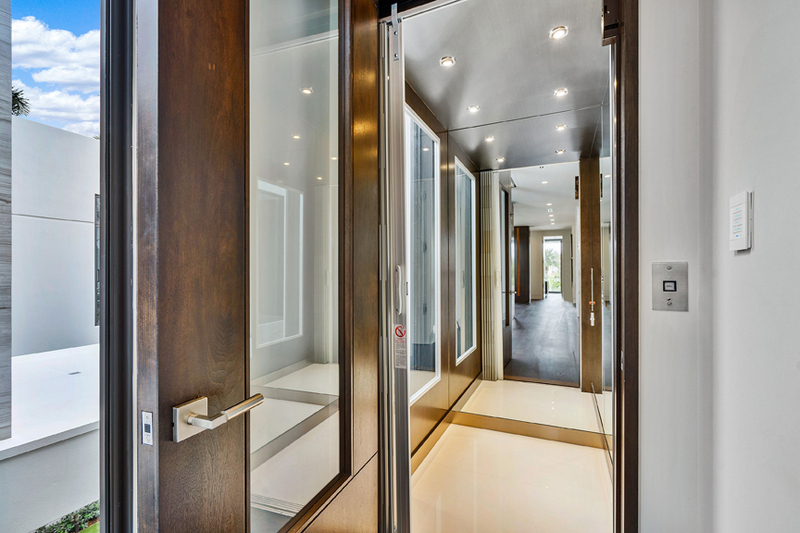 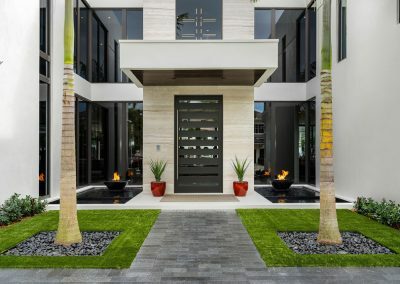 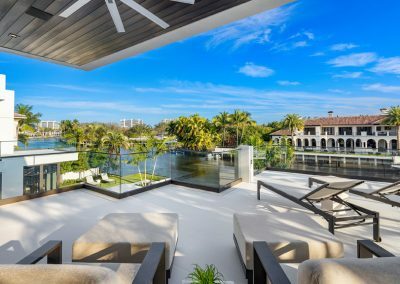 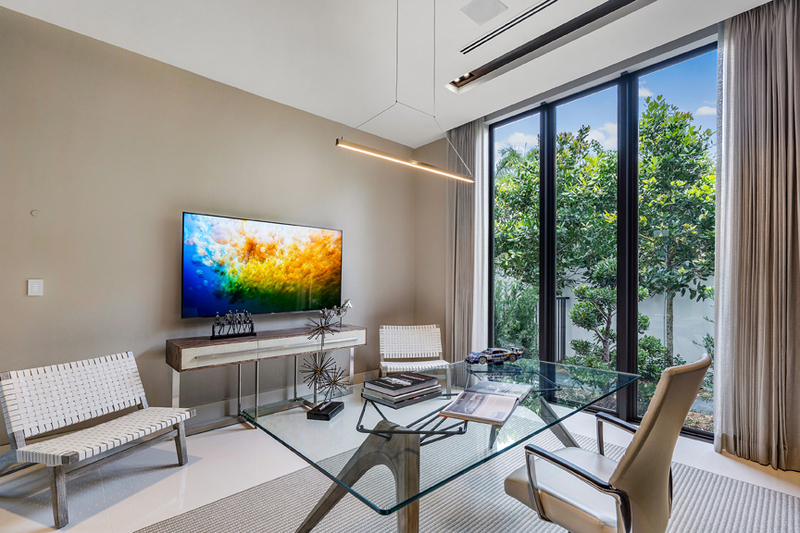 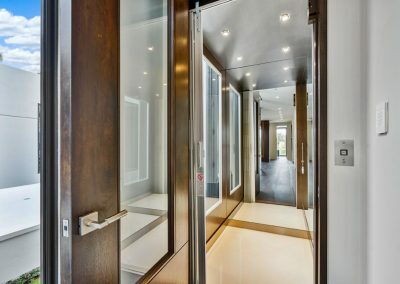 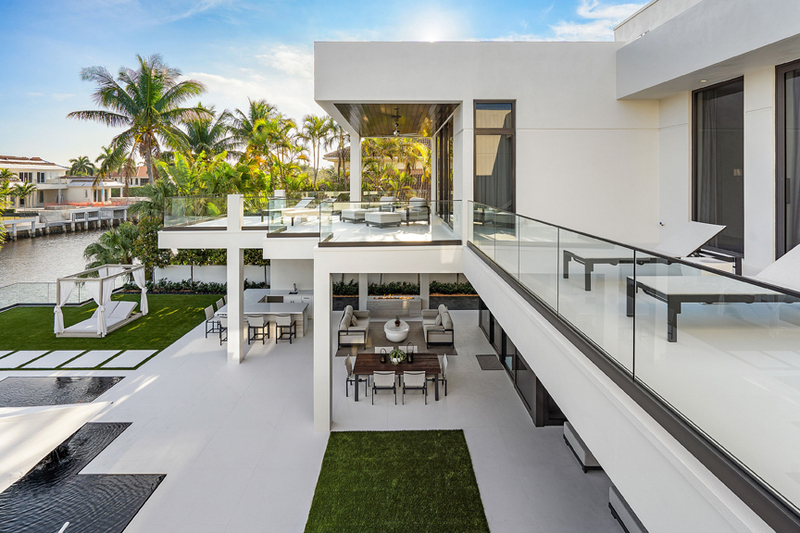 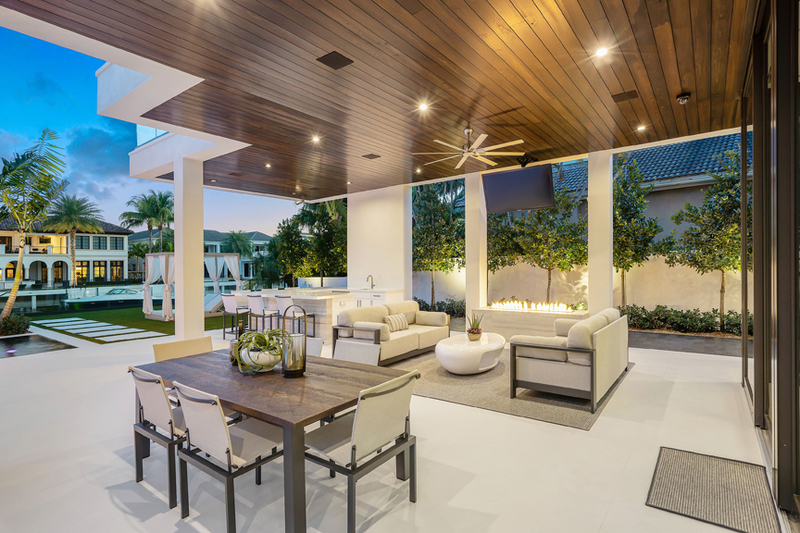 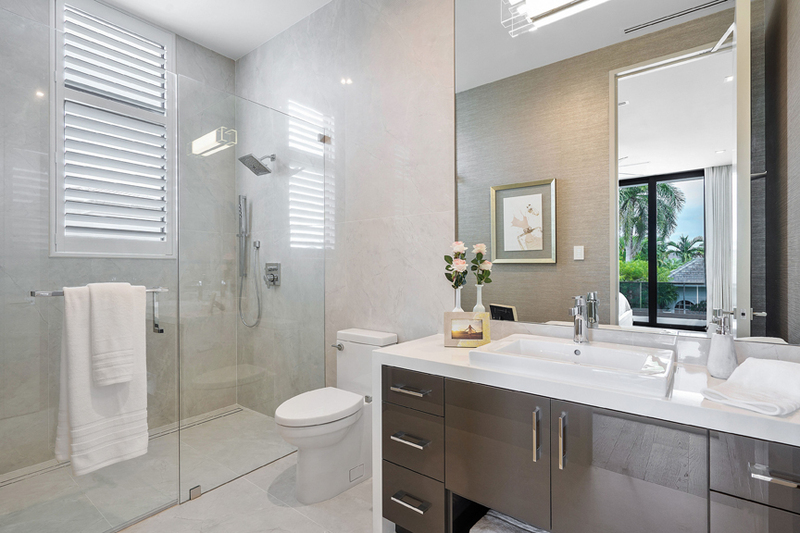 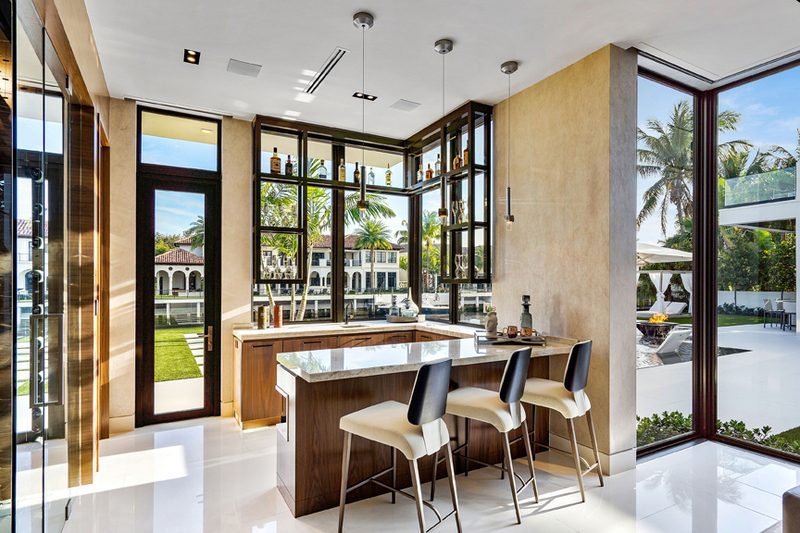 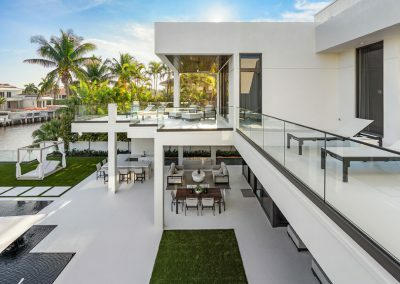 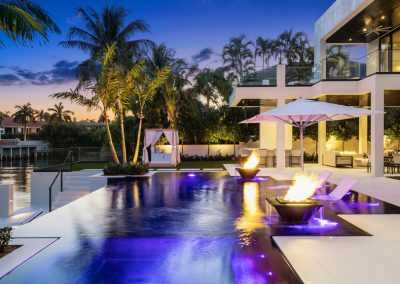 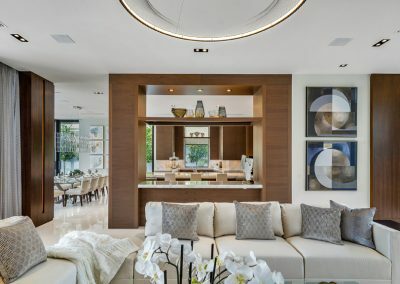 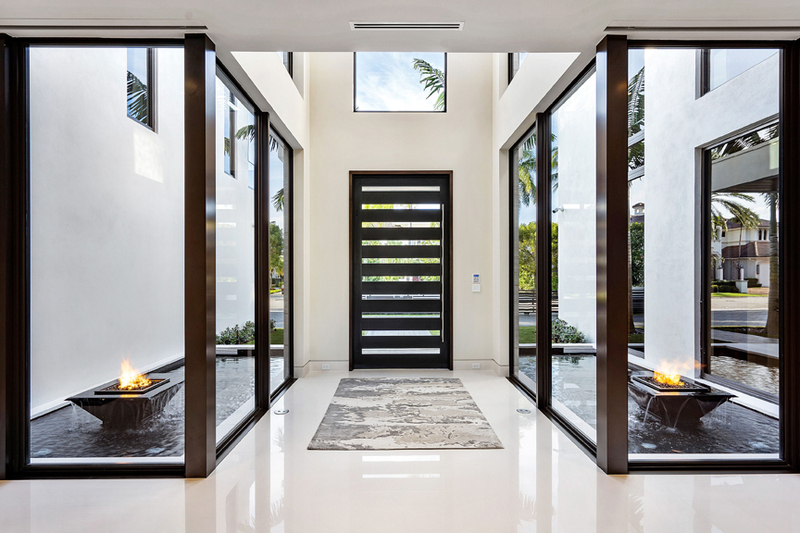 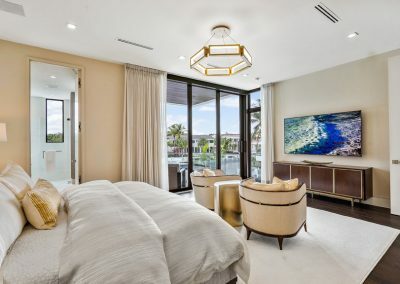 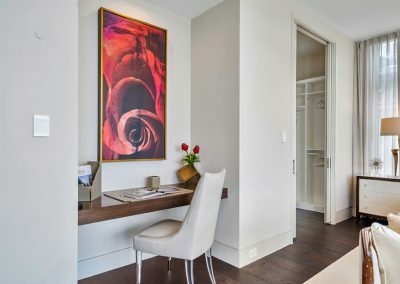 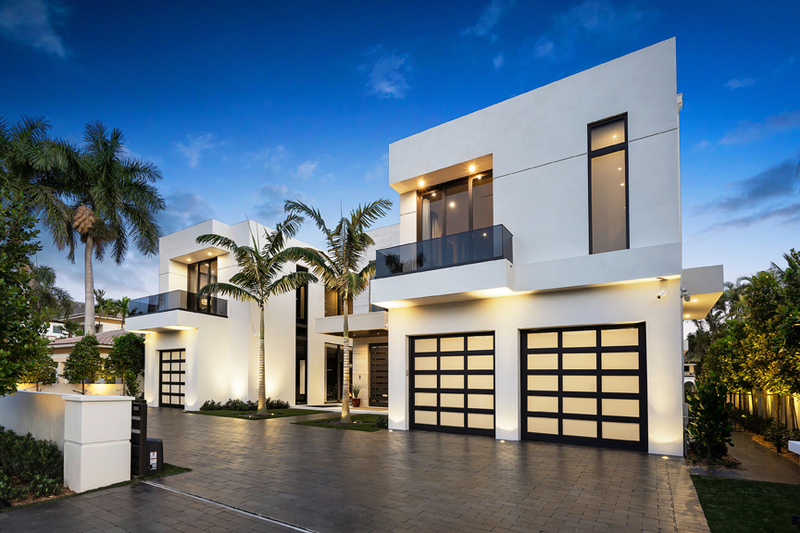 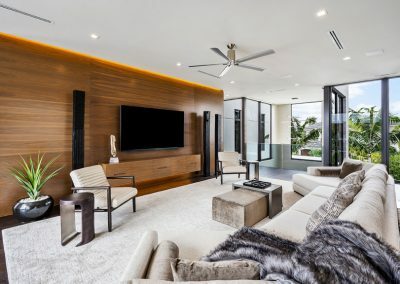 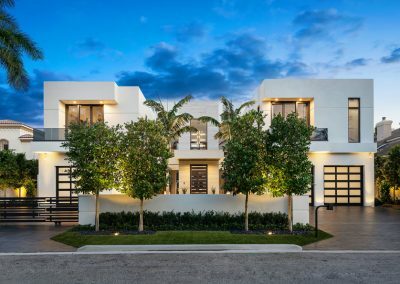 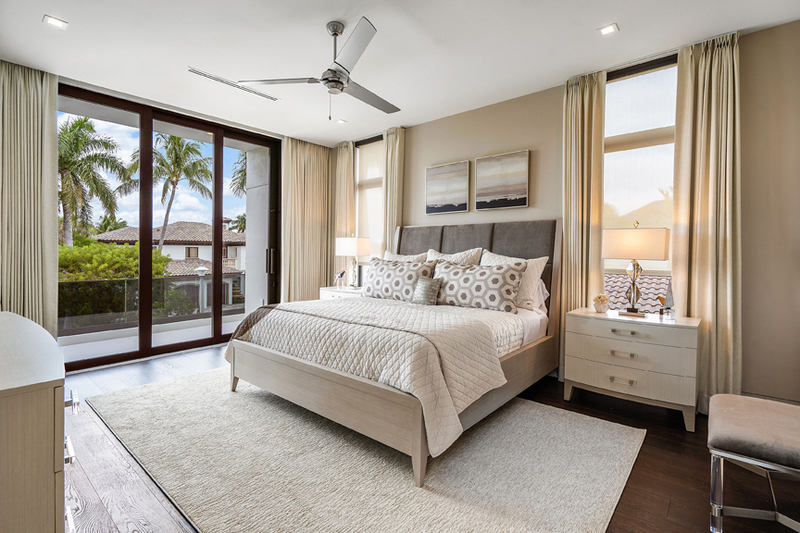 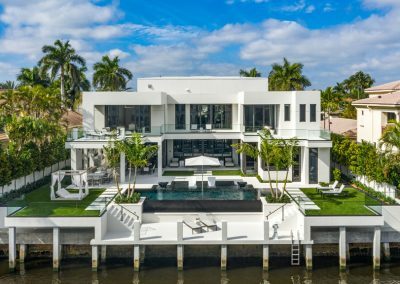 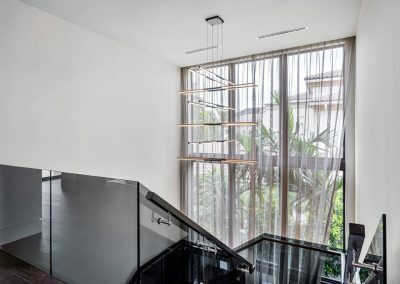 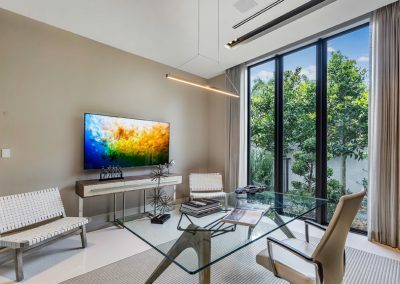 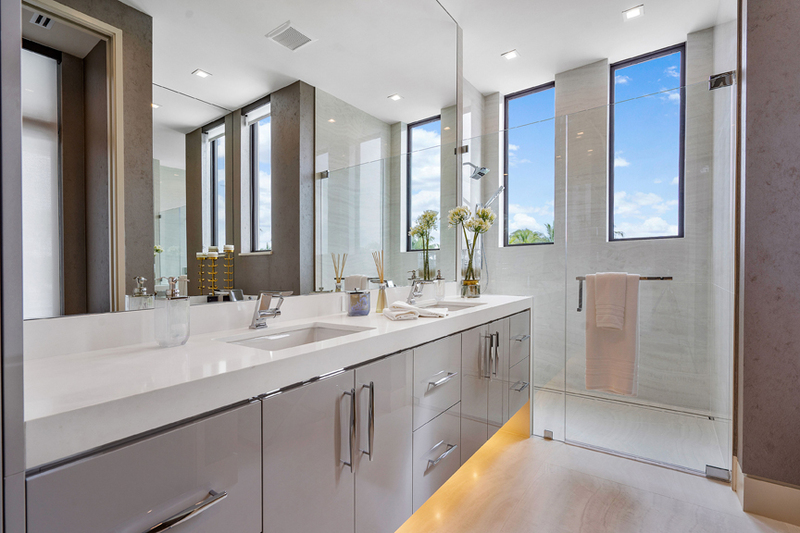 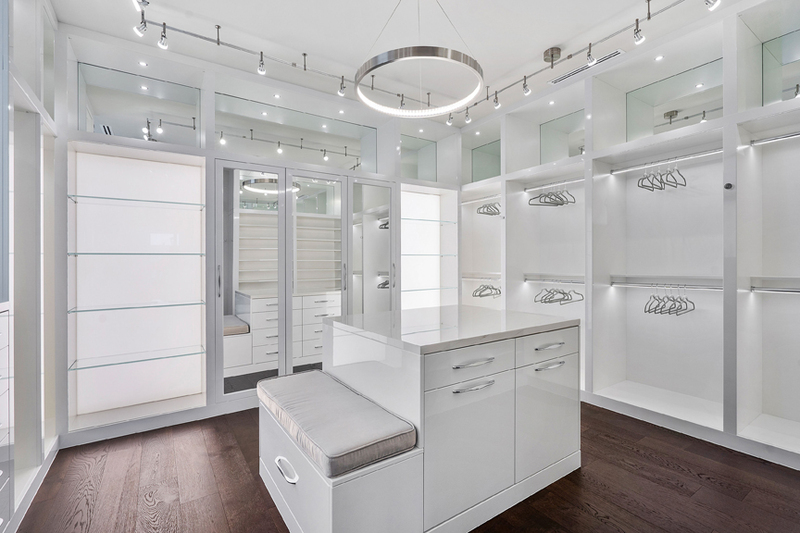 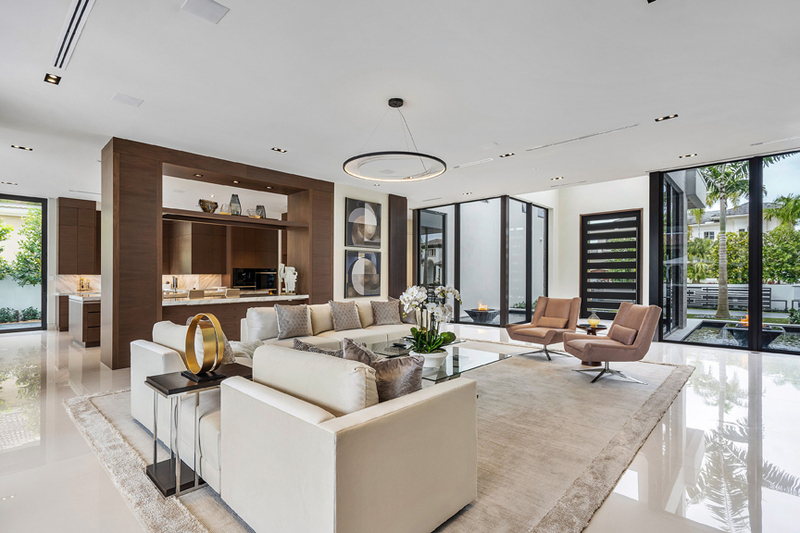 New contemporary, waterfront estate, SRD Building Corp. Signature Home, located in the community of Royal Palm Yacht & Country Club in East Boca Raton. 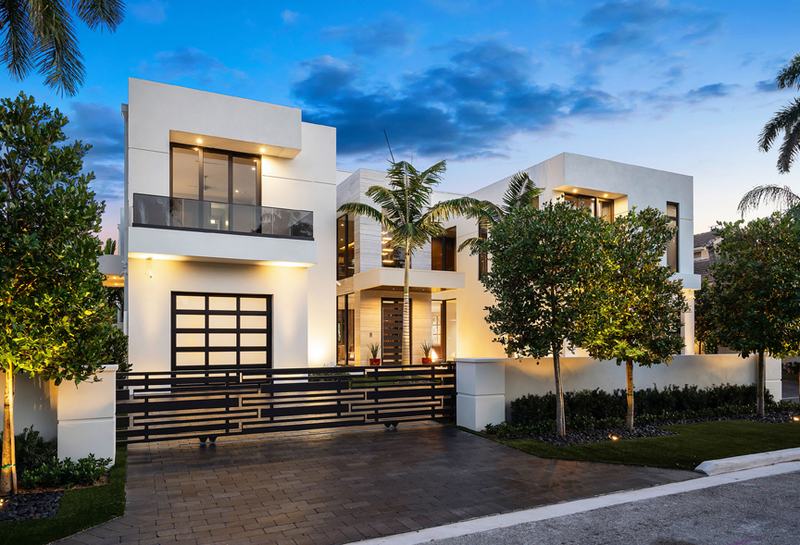 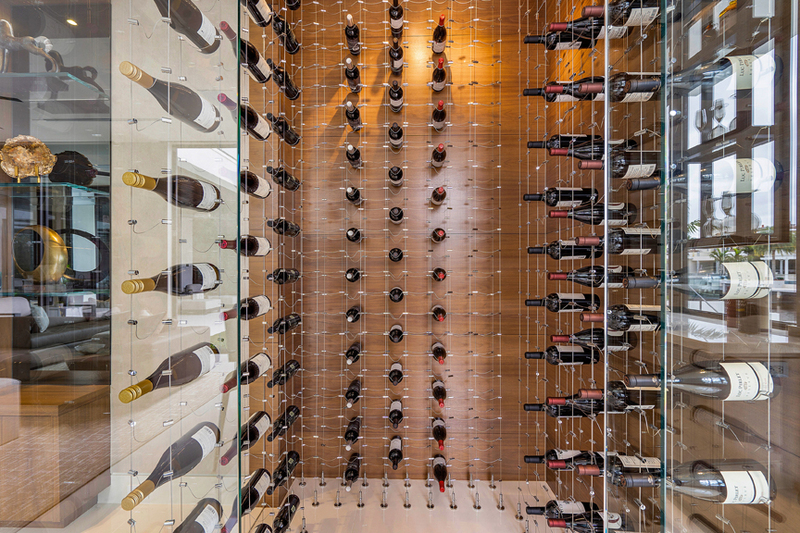 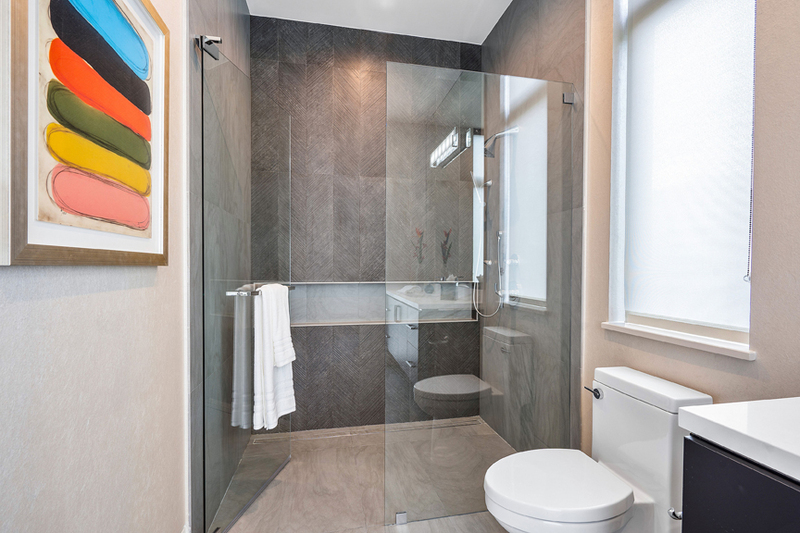 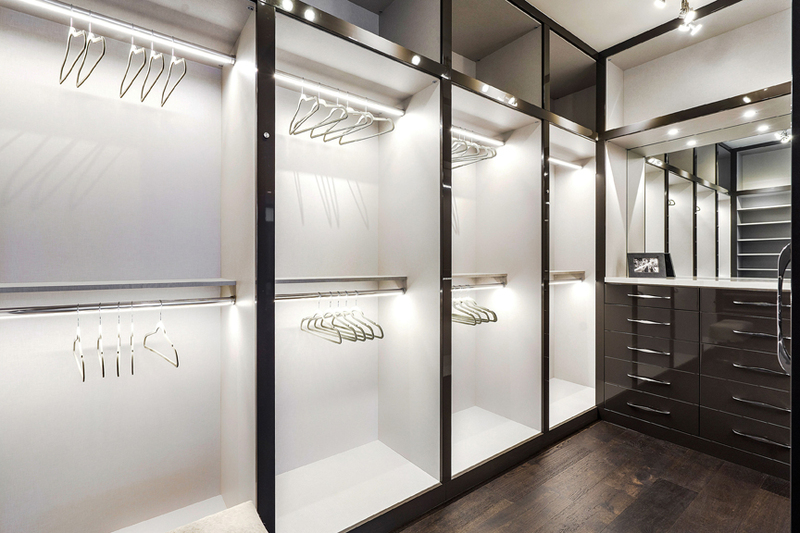 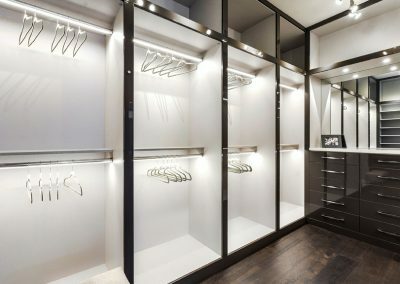 Lot total of 14,176 SF, home total of 10,426 SF, living total of 7,753 SF. 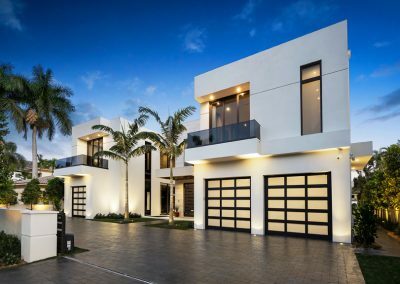 With 4 bedrooms, 4 full baths and 2 half baths, 3 car garage and 1 golf cart garage.